Self-stick dry-erase calendar applies easily. Just peel, stick and place on walls, desks, doors and more. Arrange them together to see 3 months at a time. 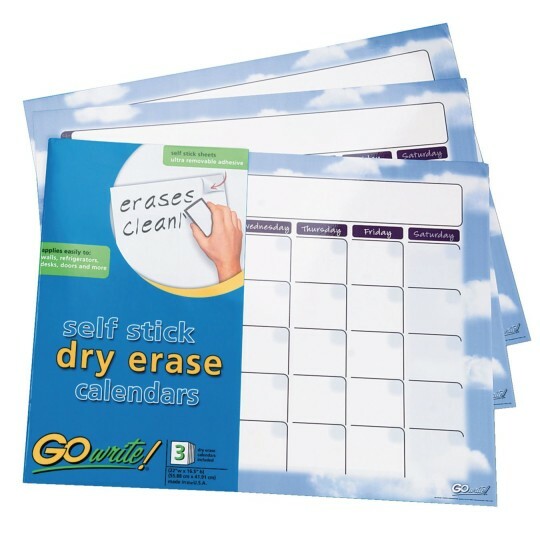 Reuse this self-stick dry-erase calendar again and again! Applies easily to walls, desks, doors and more. Pack contains 3 calendars. Arrange them next to each other to view 3 months at a time. Measures 16-1/2" x 22".